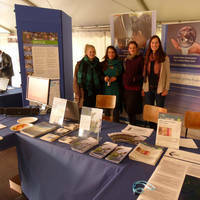 On October 19th, 2013, GWSP joined the annual celebration of the founding of the United Nations on the market square in Bonn, Germany. This year’s “Day of the United Nations” focused on water and sustainable development. International organisations and UN secretariats based in Bonn gave insights in their work.